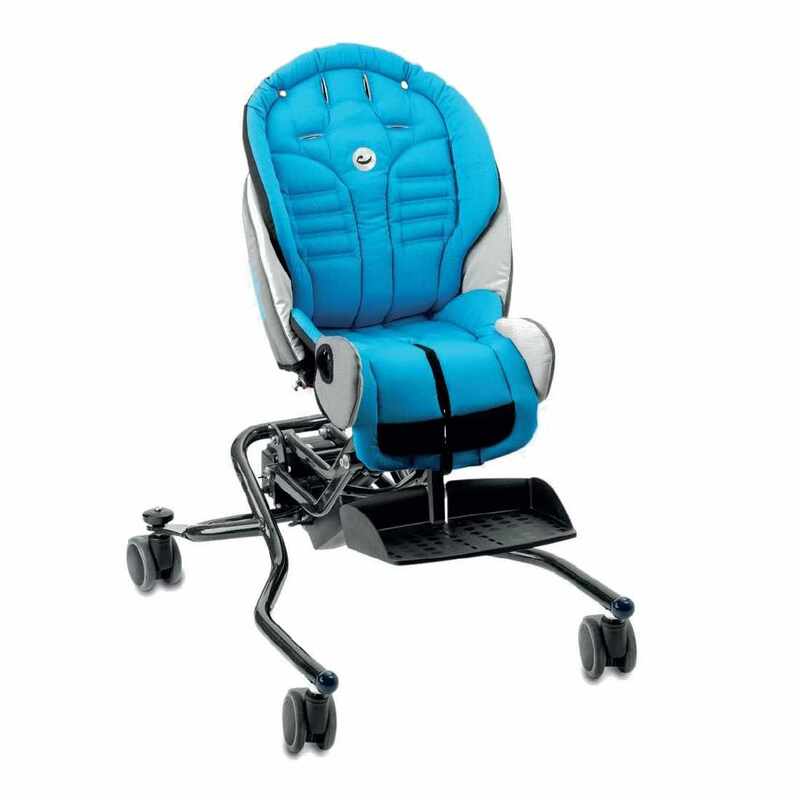 R82 Stingray tilt seating system with high-low indoor frame base has carbon frame. High-low base is intended for indoor use with easy height adjustment to help position the child in the seat for table top play activities. 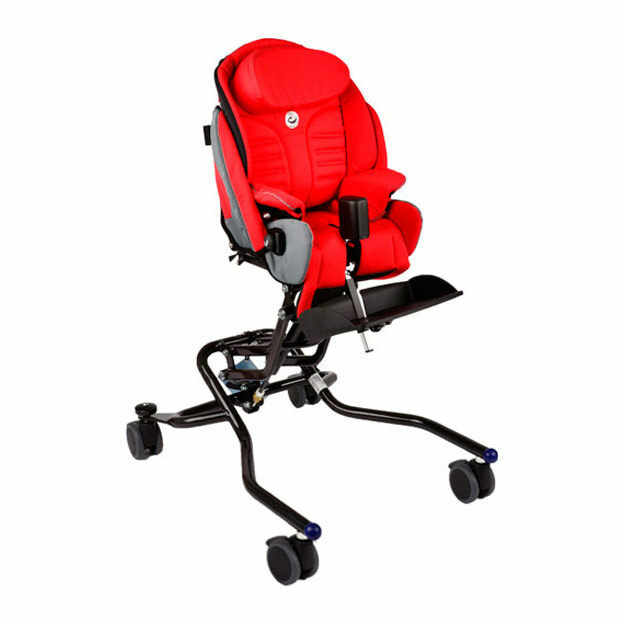 In the seat the child is always comfortably seated, whilst the various angle adjustments makes it easy to find exactly the position your child needs. 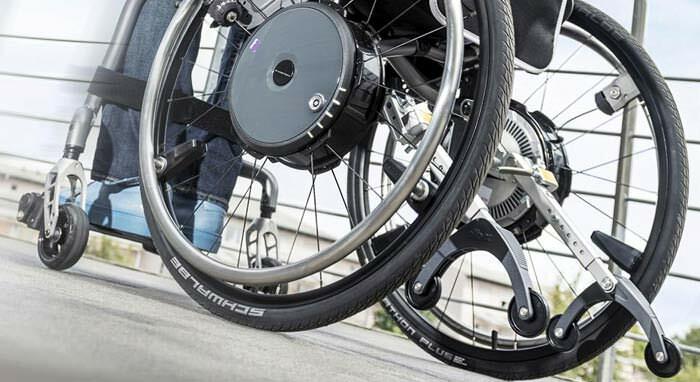 Stingray has supreme driving properties, fantastic suspension and with the safe and stable brakes, security always has pride of place. Adjustments, comfort and lightness of steering are keywords for this seating system. Stingray is available in 2 sizes. Seat width - without hip supports 11¾" 13¾"
Seat width - between hip supports 7" - 8½" - 10¼” 9" - 10½" - 12½"
Seat depth 7" - 11¾" 9½" - 15½"
Back height at shoulders 10½" - 16½” 15½" - 20¾"